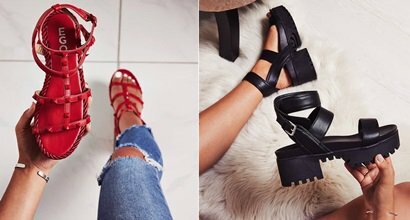 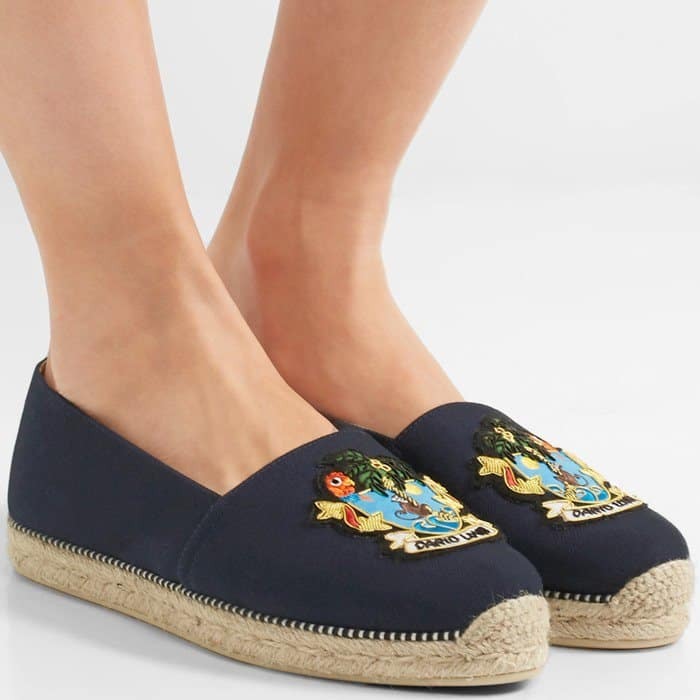 There’s no better way to welcome spring and summer than with a pair of snazzy espadrilles on your feet! 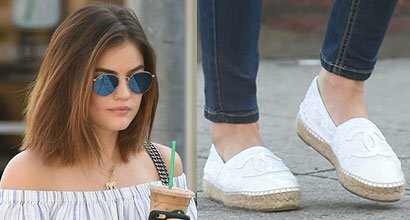 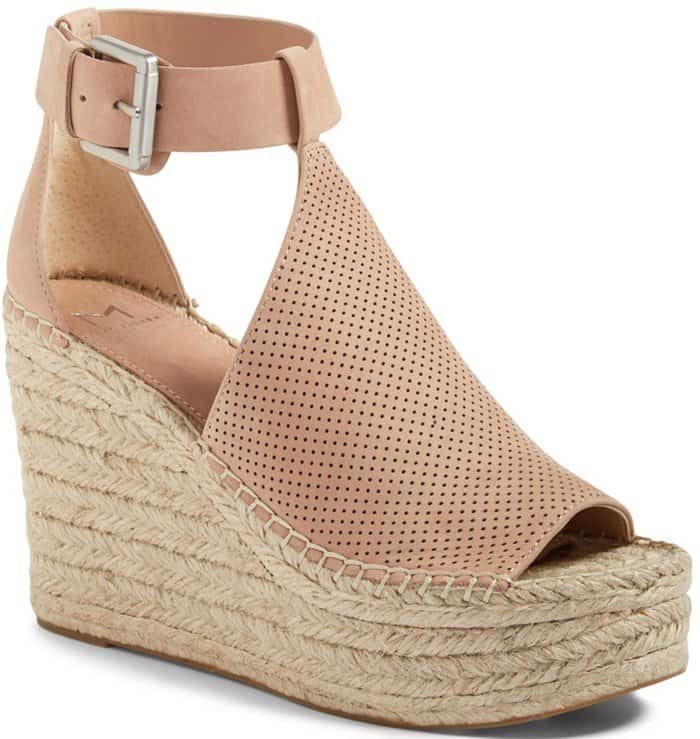 Over at Amazon and Nordstrom, they have over 200 espadrille flats, sandals and wedges to choose from. 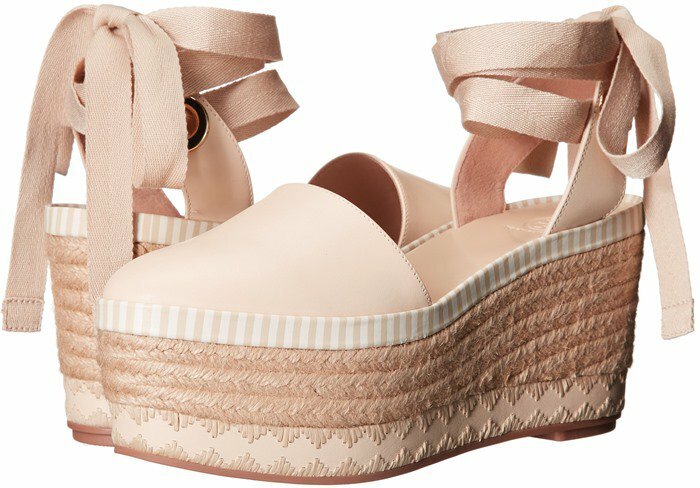 It should be close to impossible for you not to find at least one that you will like. 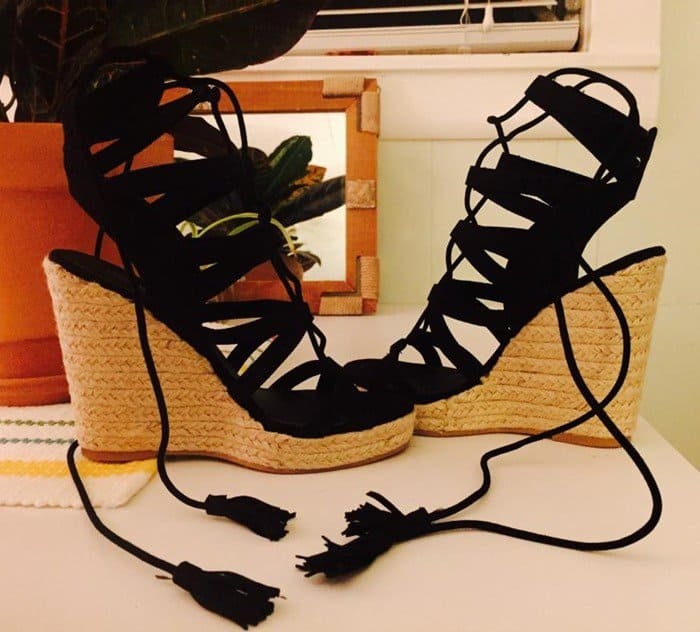 Here are 10 you can start with. 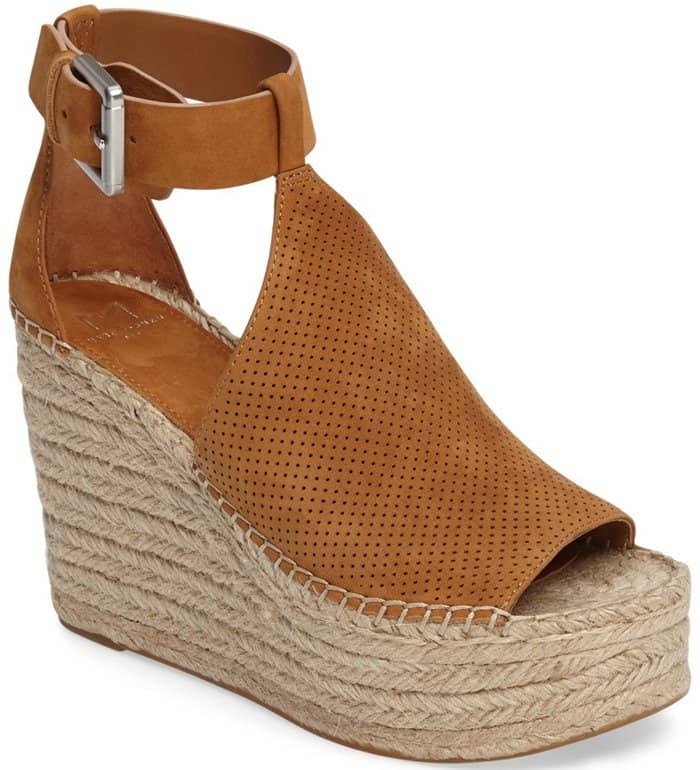 A perforated vamp connects an open toe and cutout ankle panels in this breezy platform wedge lifted by layers of artfully braided jute. 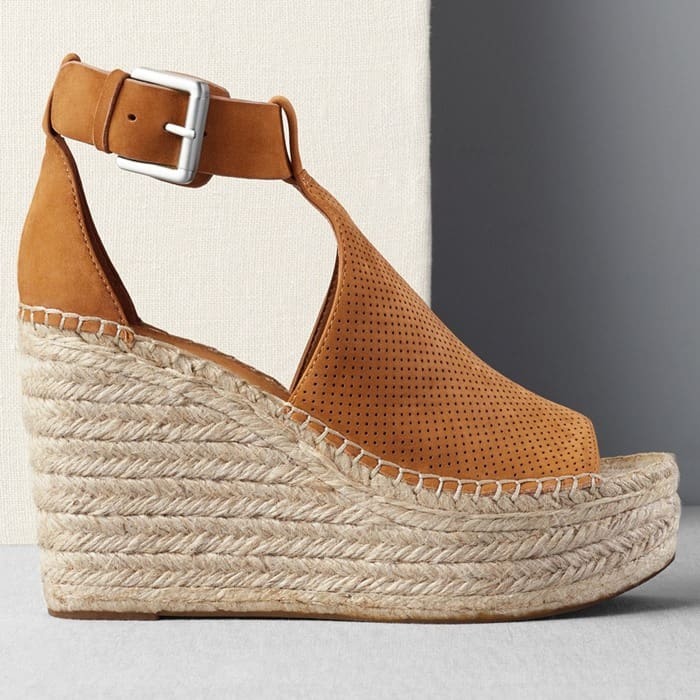 Nothing says warmer weather like espadrille sandals, and this wedge from Dolce Vita paired with easy elastic straps is perfect for the season. 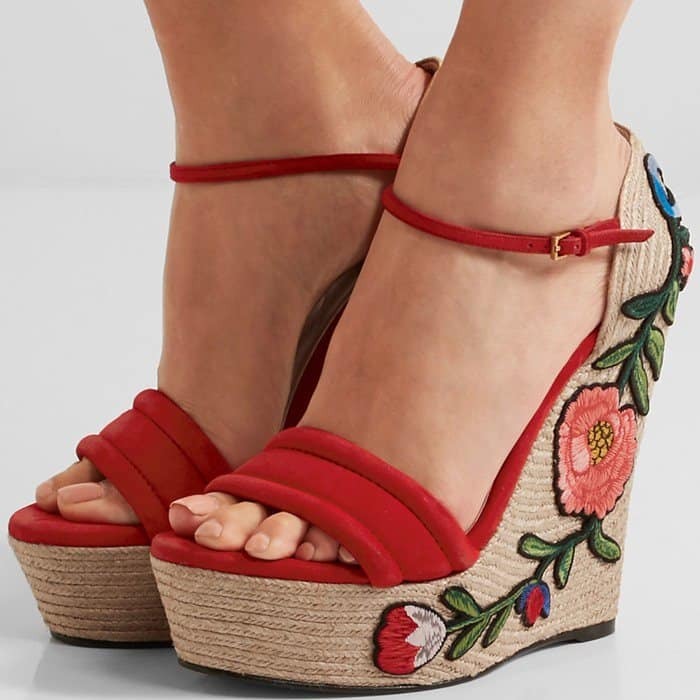 Chloé’s sandals are made from bandana-inspired printed canvas intricately knotted along the front and backed with structured leather. This pair has an espadrille wedge heel balanced by a generous platform to provide lasting comfort. 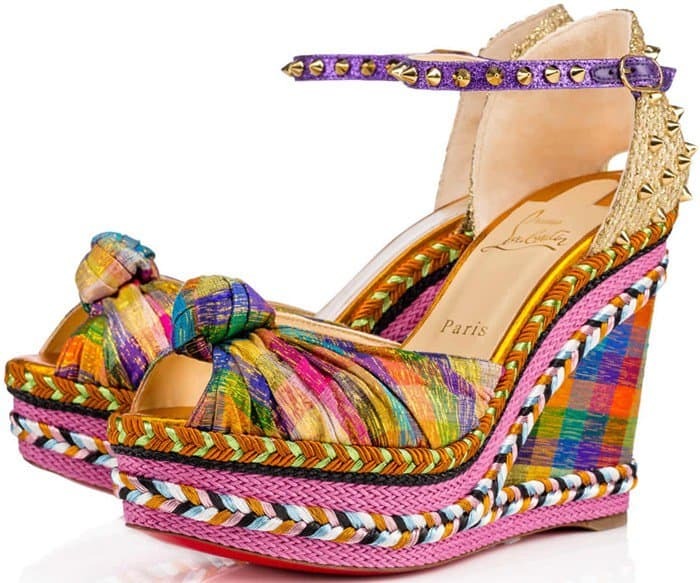 Your Spring/Summer leisure look is sorted with Christian Louboutin’s ‘Lougalia’ espadrilles. 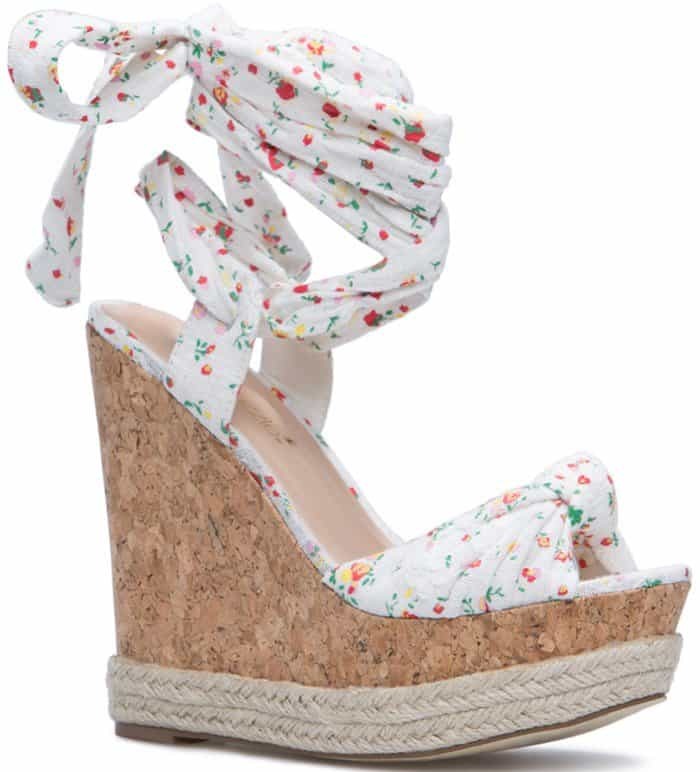 Keeping with tradition, this feminine dolly ‘olona’ canvas espadrille is made in Spain. 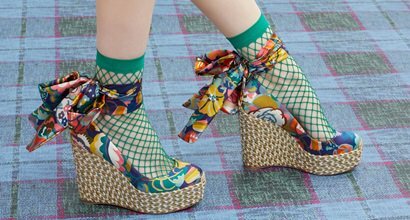 “I have a deep interest toward nature,” explains Gucci’s Creative Director Alessandro Michele. 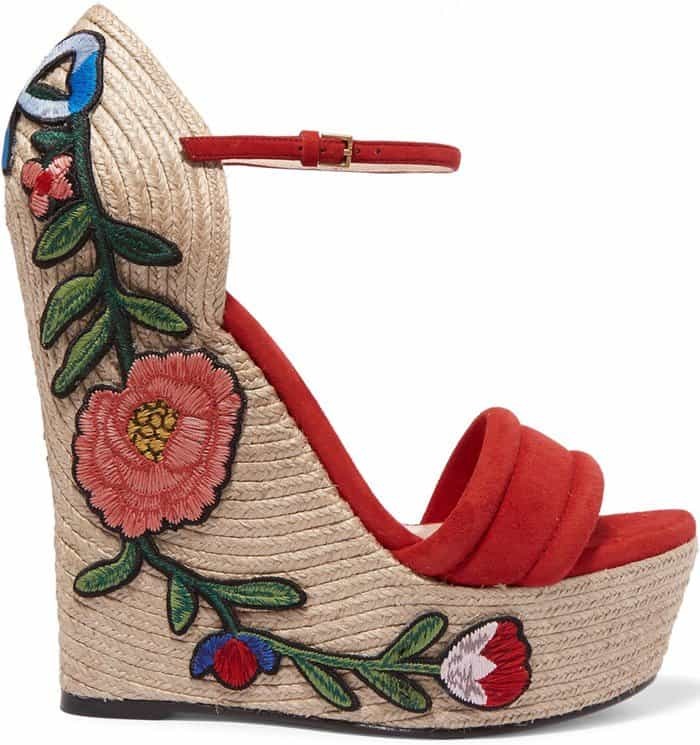 Made in Italy, these red suede sandals are appliquéd with beautiful floral embroidery at the 105mm espadrille wedge heel. 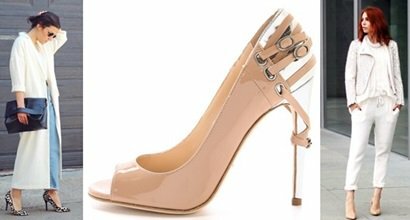 “Madcarina” is a SS17 take on the signature classic “Cataclou”. 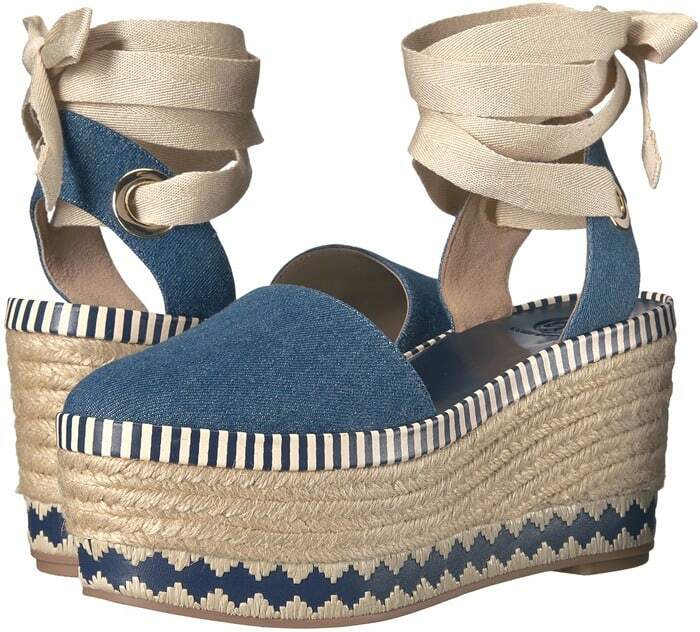 Featuring an espadrille-inspired braided rope wedge and chic turban twist toe detail, this 120mm beauty in tissu disco square is finished with hand-placed signature spikes at the heel and ankle strap. 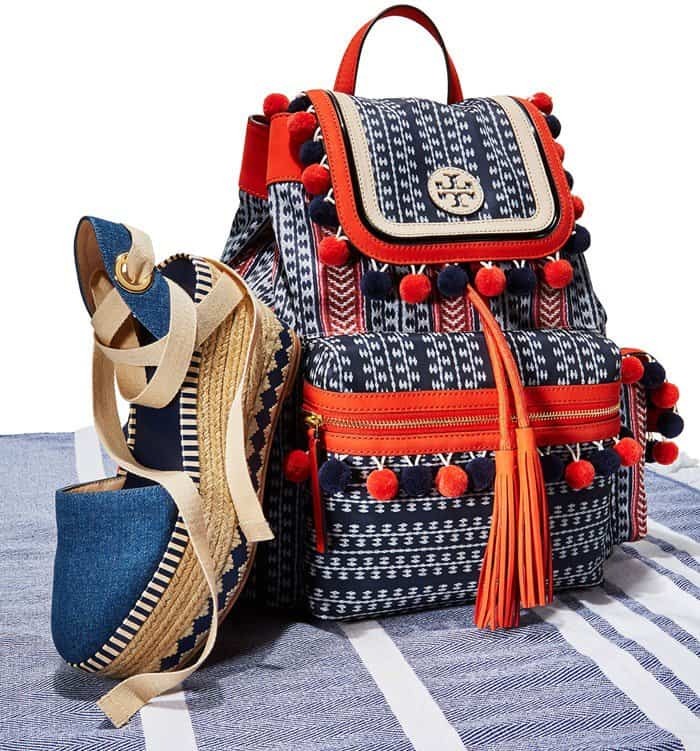 Your sundress needs a bestie, and this style is a match made in heaven. 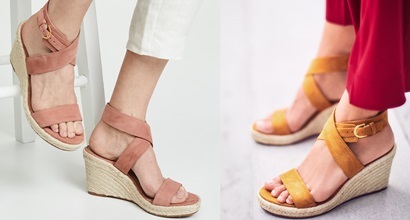 From her espadrille-trimmed wedge to her summery fabric, ‘Patsie’ is ready for all your BBQ, pool party and wedding invites. 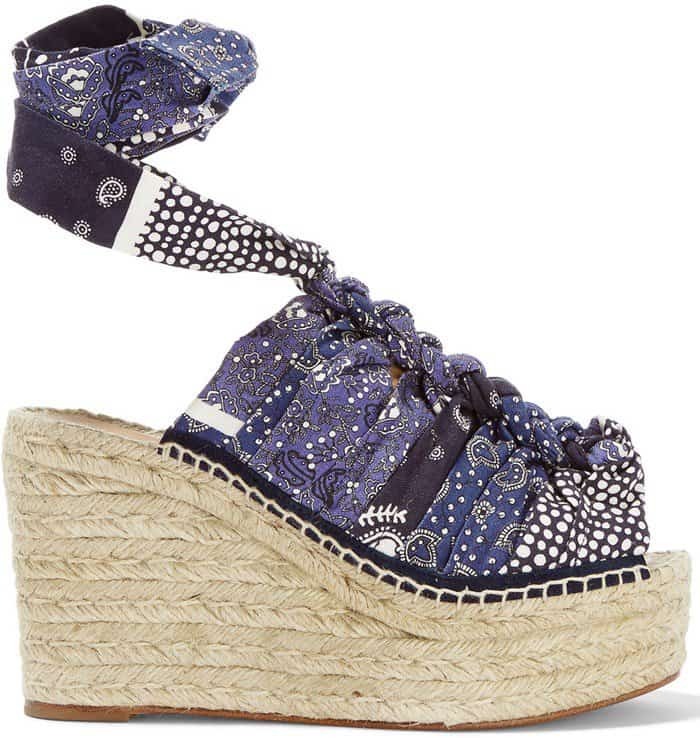 This lovely espadrille features a front lace-up detail with trendy tassel ends for a lively look.